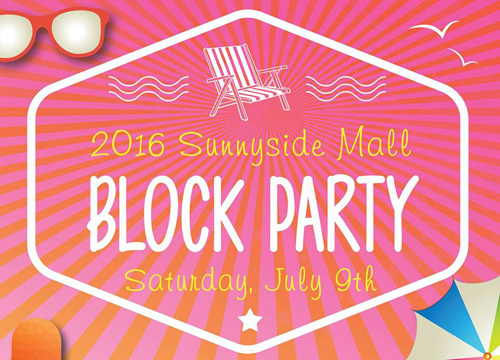 Spend the evening with your Sheridan Park Neighbors for the first ever Sunnyside Mall Block Party! CARNIVAL GAMES: face-painting, balloon toss, donuts on a string, bike/scooter parade and more! DINNER! Spend the evening with your Sunnyside Neighbors! This event is made possible by The Sunnyside Mall Committee and all our generous Sheridan Park Neighbors!